Canada’s dismal federal election is over, and I for one have never been more ashamed to be a Canadian. Thanks to a rotten and archaic first-past-the-post (FPTP) electoral system, Stephen Harper managed to achieve a “majority” government with just under 40% of the popular vote. Stephen Harper, whose government has been the only one in the global history of Westminster-style parliamentary democracy to have been held in contempt of Parliament. I won’t delve into his myriad other failings, which range from the dishonourable to the downright criminal, as it would take a book — or more likely a twenty-volume set of them — to comprehensively lay his misdeeds before the weary reader. An American friend asked me to explain why I was so appalled at the election outcome. I had to put it in terms of his electoral system, by having him imagine that a proven traitor to his nation had just been elected President of the United States, but without a Senate or House of Representatives to keep him in check. That, in effect is the state of Canada’s political system at the moment. I can complain until I am blue in the face about the undemocratic nature of Canadian “democracy”. Nothing will change, because FPTP is very hard to get rid of. First, there is the challenge of making any alternative system of voting seem appealing to a tradition-bound population with an aversion to fundamental change. Second, there is the difficulty of actually implementing such change within a constitutional framework that makes amendment nigh impossible. Third, any alternative system offered faces the equally daunting challenge of being simple enough for a plurality of the people to actually understand it, no mean feat in a populace as politically ignorant as your average Canadian. Fourth, any government with the power to seriously propose and implement an alternative system of voting will necessarily have come to power through the FPTP system first, and would therefore have little or no incentive to change a system that has by definition worked splendidly for them, thank you very much. And even if they were elected on a platform of change, once in power they can easily engineer the failure of any promised referendum on the matter. In my mind, the worst part about our “democratic” system is not its inability to adequately represent the will of the people. After all, in those cases where the will of the people is ignorant or degenerate, non-representation of the people’s will would be a blessing in disguise. Rather, I am bothered by the Canadian system’s lack of republicanism. Although it bothers me immensely that we have an immoral traitor like Stephen Harper occupying the Prime Minister’s office, it certainly wouldn’t be the first time in a democracy that something so base has somehow slithered into the seat of power. What really worries me is that once he is “elected” with a “majority” government, we have no countervailing constitutional means of resisting his infernal machinations. The House of Commons (the body most analogous to the US House of Representatives) is a creature of party: Mr. Harper’s party now absolutely controls it, and Mr. Harper himself absolutely controls his party. And since more and more power over the years has concentrated itself in the cabinet, and in the Prime Minister’s Office in particular, the House is little more than a stage for second rate orators to show off their limited political talents for the consumption of the folks back home (most of whom couldn’t care less). What passes for debate in the House of Commons is full of sound and fury, and truly signifies nothing. Our Senate shares with its US counterpart nothing but its bare name. A Canadian senator is not elected. A Senate seat is a patronage plum given to superannuated political cronies of the Prime Minster. Lately, Mr. Harper has used it to reward hack journalists who report favourably on government activities (or ensure that said activities disappear down the memory hole, where favourable reporting is simply not possible). In any case, by constitutional convention, the Senate is barred from acting as a real barrier to legislation. It is little more than a rubber stamp. Much talk goes on in Senate committees I’m sure, at least among those few Senators who show up for work, but when the chips are down, the Senate will prove worthless. Canada does have a Supreme Court with a respectable record of upholding civil liberties, but the Court has never before had to face the sinister brutality of a Prime Minister like Stephen Harper. Alexander Hamilton noted in Federalist No. 78 that the judiciary is the weakest branch of government, having “no influence over either the sword or the purse... and must ultimately depend upon the aid of the executive arm even for the efficacy of its judgments.” Harper has ignored the judgments of the courts before (e.g. the Omar Khadr case), and has railed against the “tyranny” of unelected judges in the past. I don’t see why the leopard should change his spots now. Consider also that there are expected to be several Supreme Court vacancies over the next four years, and these appointments will be in the gift of the Prime Minister. Two Supreme Court justices last week announced their intentions to retire. I expect that their seats will be occupied by new justices with more pliant bums, ones who hold similar views to the Prime Minister’s on the need for unelected judges to keep quiet about things like rights or the rule of law and its supremacy. Might we be in the unenviable position of having to look to the Governor General to protect our freedoms from the growing despotism? I say unenviable, because the Governor General is an unelected representative of the Queen of Great Britain, a regrettable relic of our days as a British colony. Although our current Governor General is a noted constitutional scholar, there are three reasons not to expect any help from that quarter. First, as with the judiciary, his is a weak branch of government, controlling no resources, and having little democratic legitimacy. If push came to shove, he would get shoved very roughly indeed by a bully like Mr. Harper. Second, he is the representative of a foreign monarch who I have no doubt cares little very little for the fate of our nation, and who is relatively powerless even in her own country. Any real resistance by the Governor General would end up being the fast track to abolition of the monarchy in Canada. Third, again by constitutional convention, the Governor General’s role is mostly symbolic (of what?) — he is a sort of Master of Ceremonies and a rubber stamp for legislation passed by the government. To reiterate, I’m not so much bothered by the lack of democracy in our system as I am by its lack of republicanism, its lack of counterbalances to executive power. It is possible to have too much democracy, just as it is possible to have too little. Which begs a question: What, precisely, is the difference between a democracy and a republic? Much has been written, and much of it opaquely, about what the difference is between a democracy and a republic. I will offer my own cryptic definitions of each, and then expand on them a bit, hopefully making them a little less cryptic. Democracy is self-determination by the people. This may be done directly, as in a small city-state like ancient Athens, or through representatives, as in most large modern democratic assemblies today. Republicanism is self-determination by the people as their better selves (in a sense to be explained below). Democracy has a normative grounding, embodying the concept that the sovereign people are the ultimate source of political legitimacy. Since they are, after all, the ones who will be subject to the coercive powers of government, the people ought to have a say in how those powers will be wielded. On the other hand, republicanism is doubly normative, for it is not merely that the people are the source of political legitimacy; rule by the people is given an added legitimacy by virtue of their being capable of governing themselves. If democracy is good, republican democracy (or a republic with a strong democratic element) is better still. But what exactly do I mean when I speak of rule by the people as their “better” selves? Do I mean rule by the better sort of people? This has been a common view throughout history and is the concept at the root of aristocracy. This is not what I have in mind. Nobles have proven themselves to be just as fallible, just as selfish, as the common people. Perhaps the only advantage of an aristocracy is that its members have the leisure to stop and consider things. This does not mean that they will stop and consider, or that they will consider well. However, it might partly explain why many republican forms of government have what could be called an “aristocratic” element, a body of people who are not constantly grubbing after votes or currying the favour of a prince. This is usually because either they are not elected, or are elected for long terms, or do not hold their offices at the pleasure of another on whom they are dependent. There is a place for such a body, but its members do not have special or mystical powers such that they should be the sole rulers in a state. If leisure is the main source of whatever political aptitude they bring to the table, then this also implies that the “aristocratic” element does not form a natural ruling class, since leisure is not transmitted through blood or genes. The question is still unanswered: what do I mean by republicanism as self-determination by the people as their better selves? I ask the reader to consider the following brief passage from Tocqueville’s Democracy in America: “What the word ‘republic’ means in the United States is the slow and tranquil action of society on itself. It is an orderly state truly based on the enlightened will of the people. It is a conciliatory government, whose resolutions ripen slowly, are debated deliberately, and are carried out only when mature” (New York: Library of America, 2004, p. 456). There are two key expressions here. The first is “enlightened will of the people”. This could be Tocqueville’s equivalent to my expression “people as their better selves”. But we are still left wondering what is meant by “better” or “enlightened”. The second key expression is more helpful: “debated deliberately, and… carried out only when mature”. Tocqueville’s view was later echoed by Abraham Lincoln: “A majority held in restraint by constitutional checks and limitations, and always changing easily with deliberate changes of popular opinions and sentiments, is the only true sovereign of a free people.” (First Inaugural Address, March 4, 1861). Again, as in Tocqueville, we find this instructive modifier “deliberate”. In common speech we usually tend to use this adjective in the sense of doing something with intent. But Tocqueville and Lincoln (and Madison, as we’ll see) used it in the sense of doing something after discussion or consideration. There is a difference between our everyday sense of the adjective “deliberate” and the republican one of Tocqueville and Lincoln. This difference can be seen when the law considers whether a murder was committed deliberately. To answer this, a court need only ask whether the murderer formed and carried out a bare intention to kill someone. If so, then the murder was committed deliberately. This is pretty much our everyday sense of the term. The court does not particularly care if the murderer considered whether, all things considered, it would be a good idea for him to kill someone. Republican deliberation, on the other hand, has to do with the wisdom of a course of action, and this kind of deliberation is best done in good time. As Tocqueville noted, this kind of deliberation “ripens slowly”. The deliberation of a murderer, by contrast, may take little time at all, and it usually has more to do with the best method of carrying out an intention than with the wisdom of doing so. Put another way, the purpose of checks and balances in the Madisonian republic is to enforce deliberation, so that self-determination of the people as their better selves may prevail. Unfortunately, the particular system of checks and balances devised for the US Constitution may have been too effective, for the American legislative process is often notoriously slow and prone to deadlock. On the other hand, it has displayed an admirable ability to rouse itself in times of imminent danger. Thanks to misguided British notions of the “legislative supremacy” of Parliament that it has inherited, Canada has historically had an overly strong “democratic element”. There was no effective constitutional countervailing power to slow down Parliament’s “impetuous vortex of legislation”. Fortunately, for reasons I have yet to properly understand, unlike in many other democracies, Canada’s legislative vortex has not been overly impetuous. There have been some ill-considered actions, but none that can be considered catastrophic. Probably this has less to do with any inherent wisdom in our constitution than with a natural conservative animus in the social and political culture of Canadians. Despite momentary fits of energy, Canada is a Red Tory nation, conservative in attitude and action if not in ideology. Although the nation’s Latin motto is A mari usque ad mare (“from sea to sea”), a more apt tag might be Festina lente (“Make haste slowly”). If we once had to fear an “excess of democracy” in Canada, we do no longer. Quite apart from the unrepresentative nature of our first-past-the-post “democratic” legislature, we have been following the American trend towards an overmighty executive branch. However, unlike the US President, who still finds himself in the humbling position of having to please Congress, so long as he has majority control of the House of Commons, the Prime Minister of Canada can govern unhindered by anything other than displays of backbone from his cabinet members or the biting of his own conscience, two factors seemingly in very short supply. Republicanism at its best represents a safe haven from the extremes of excessively democratic “mobocracy” on the one hand, and authoritarian tyranny on the other. It allows the time necessary for the democratic element of the constitution to get its deliberations right, and it provides the constitutional restraints necessary to prevent the dangerous gathering of power in the hands of an executive answerable to none. 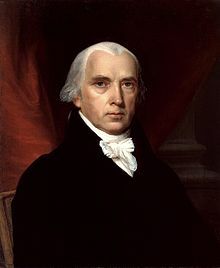 Madison feared the impetuous vortex of democratic legislation. It was a fear well-founded. However, tyranny of the single despot is a greater danger to Canadians than tyranny of the majority at the moment. And it must be kept in mind that an emperor or dictator can be just as impetuous as a democratic legislature. Canada’s dictator is a quiet man. He doesn’t like to discuss things. He shuns open debate. He has closed the Parliamentary press gallery (and has twice shut down Parliament itself). He avoids taking questions from journalists that aren’t softballs vetted by his staff beforehand. Thus, he seldom gives reasons for his actions, and when he does, they’re seldom good reasons, and he seldom gives opportunity for rebuttal. In this sense, nothing he does is deliberate (in the republican sense). As such, his actions are just as impetuous as Madison’s feared democratic legislature. However, his impetuosity stems not from an undue degree of passion — for he is seemingly passionless. Rather, he is impetuous because he acts only according to his own lights, which are unfailingly echoed by the flattering whispers of his hand-picked courtiers. In this, he reminds one of poor Æthelred “the Unready”, the hapless Saxon king who acquired his nickname not primarily because he was unprepared, but because he didn’t listen to advice. (It was a pun: in Old English, Æthelred meant “noble counsel” and Unræd meant “uncounselled”).